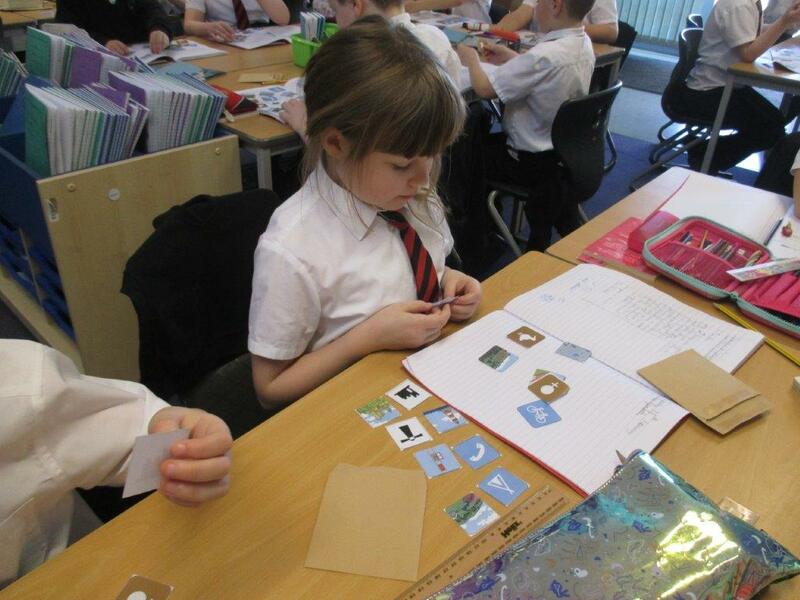 This week we have been learning about reading maps. 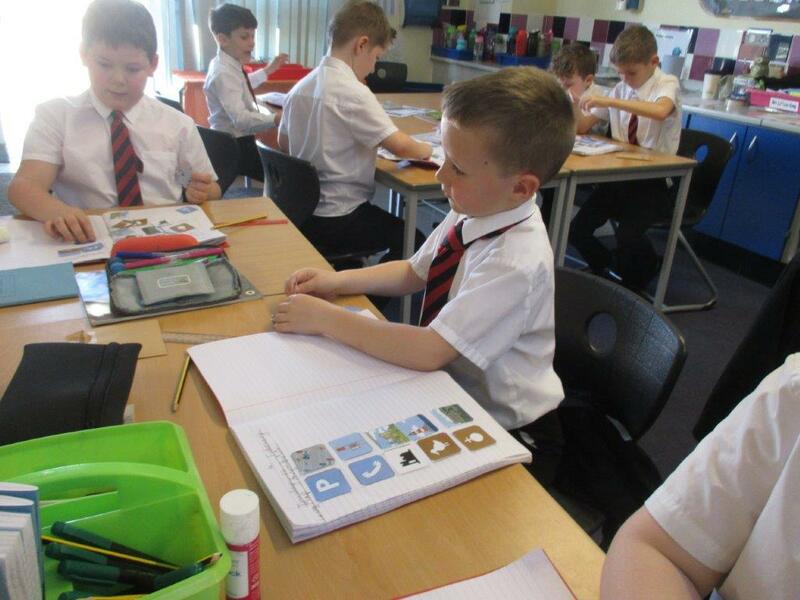 We started by looking at what some of the symbols mean on maps. 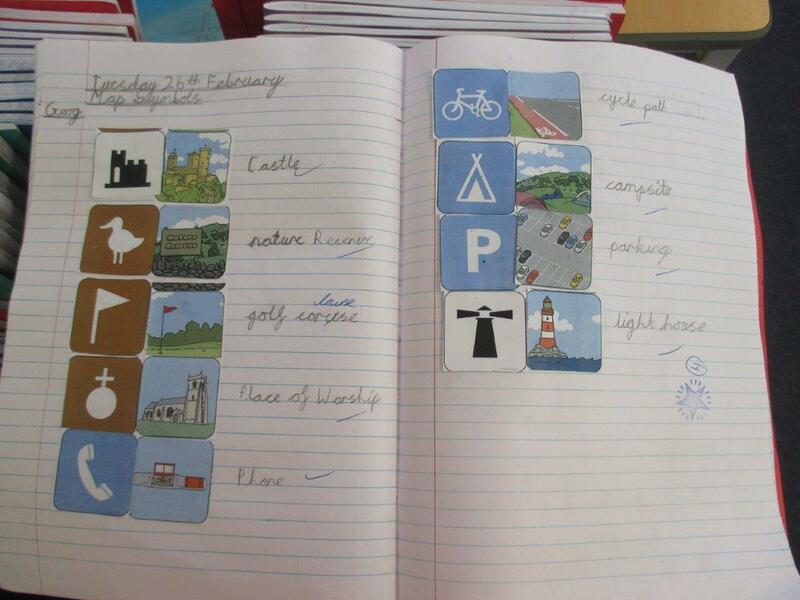 We matched up the symbols with pictures of the real places. 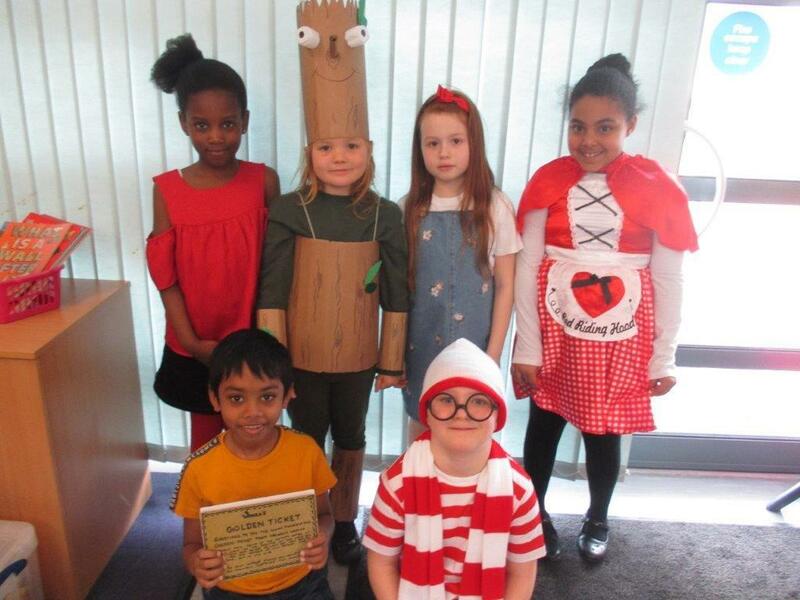 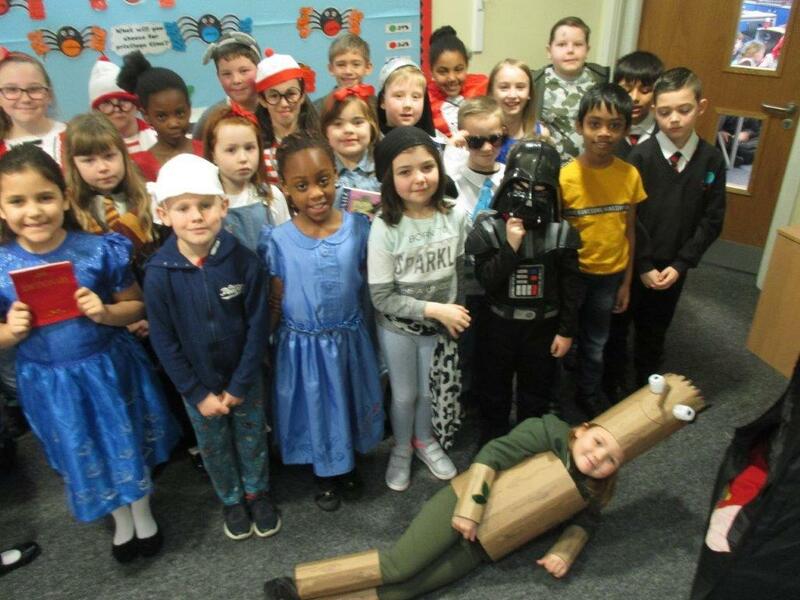 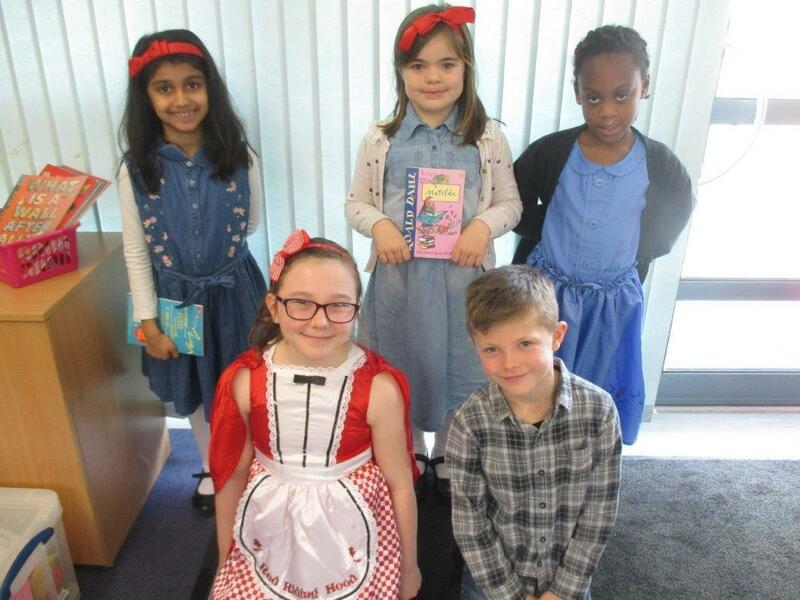 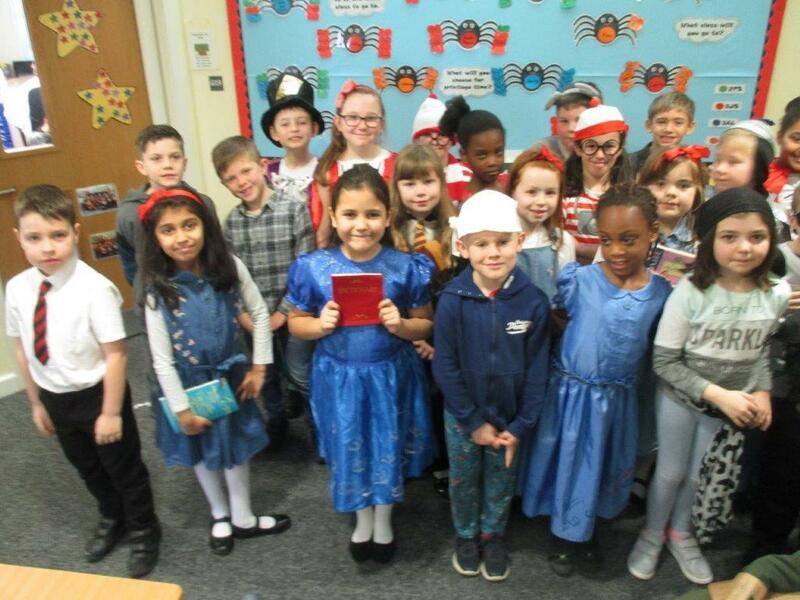 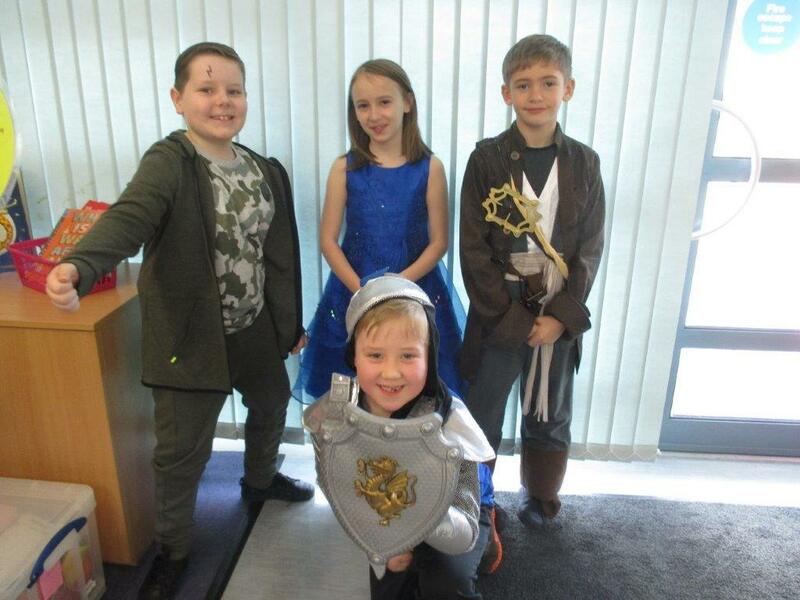 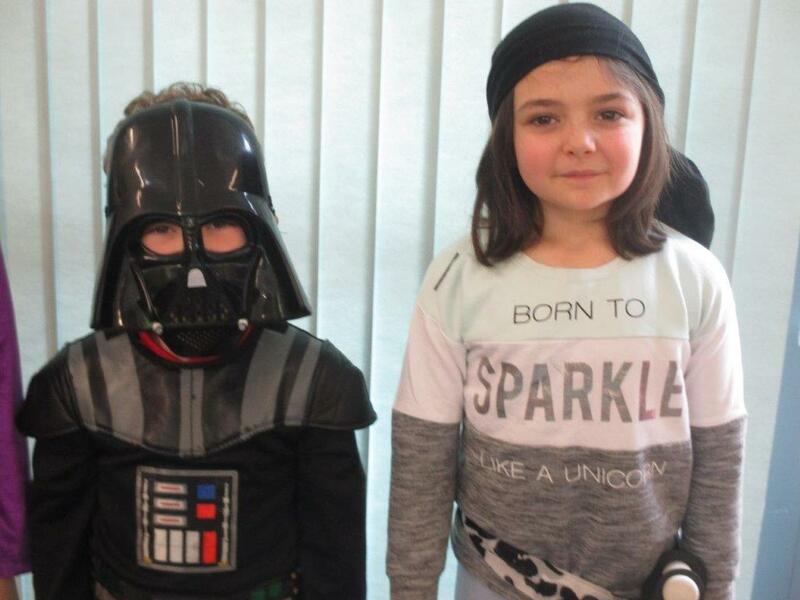 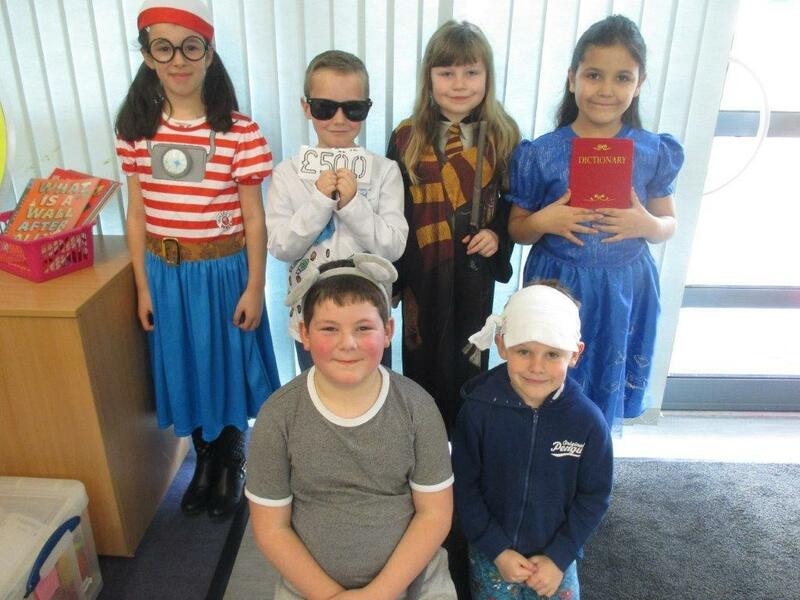 This term we had World Book Day where we dressed up in some wonderful costumes to celebrate our favourite books. 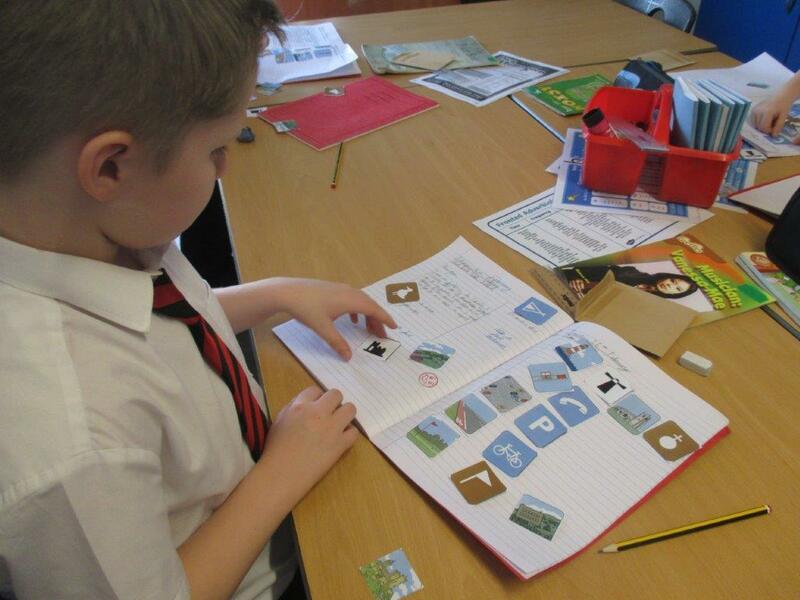 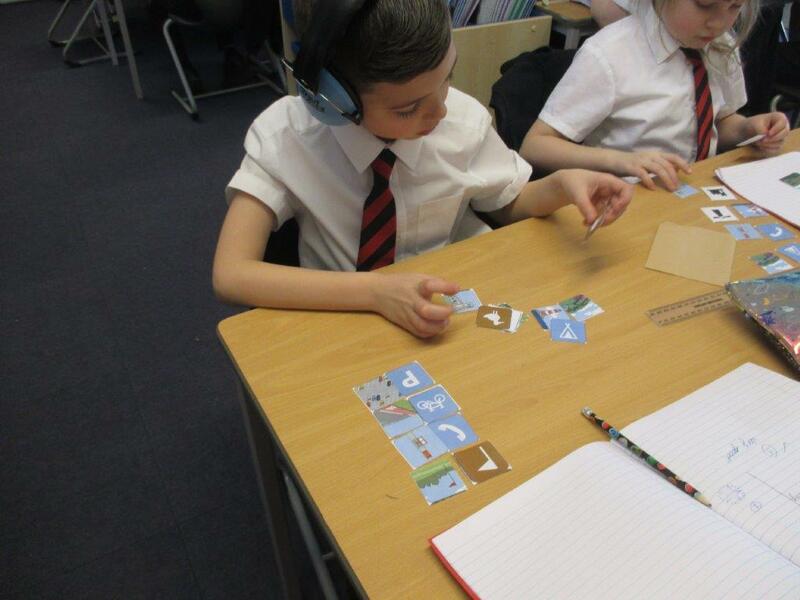 We've also been doing other book related activities such as a book review and making a bookmark. 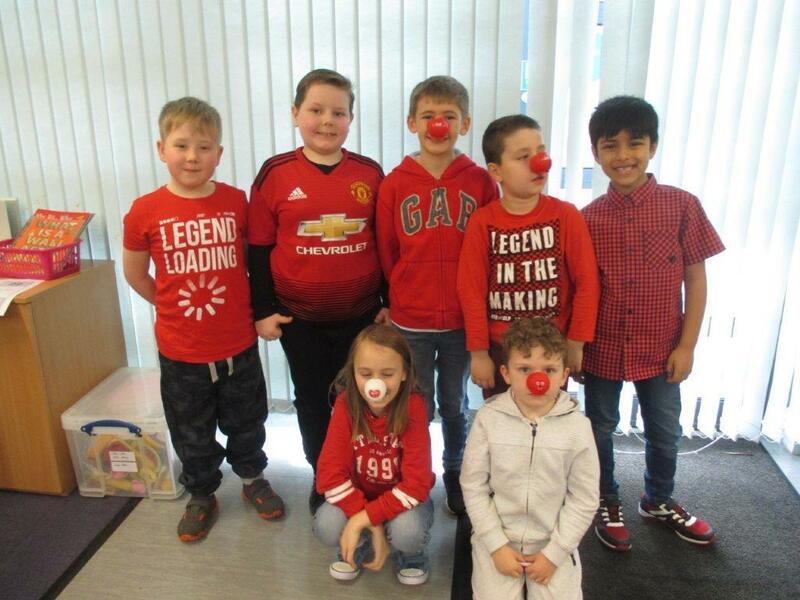 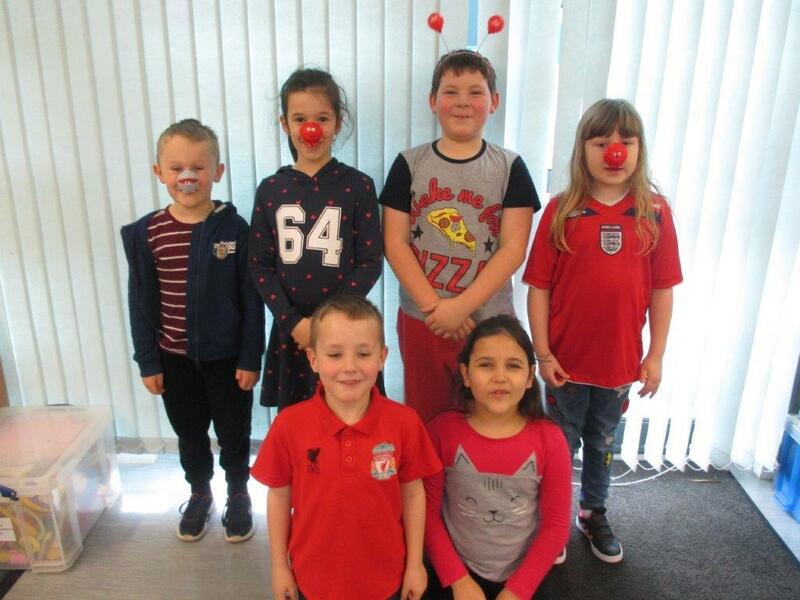 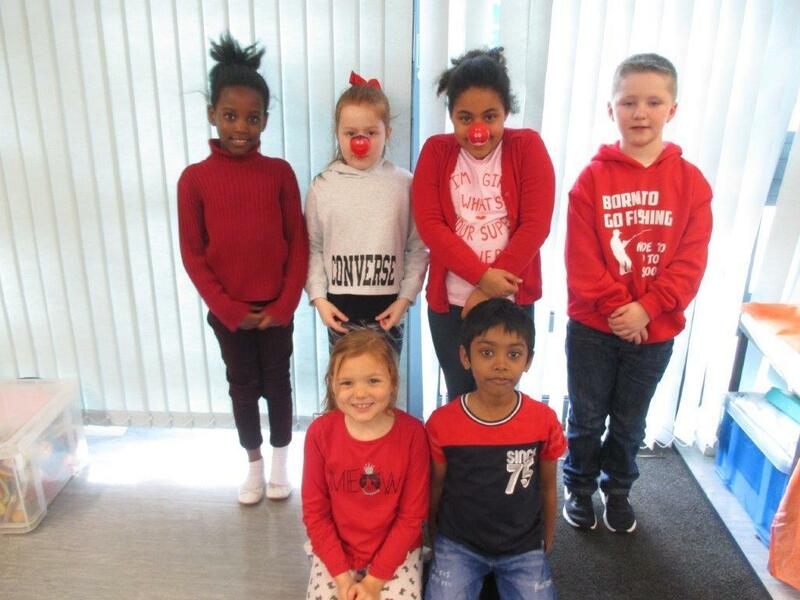 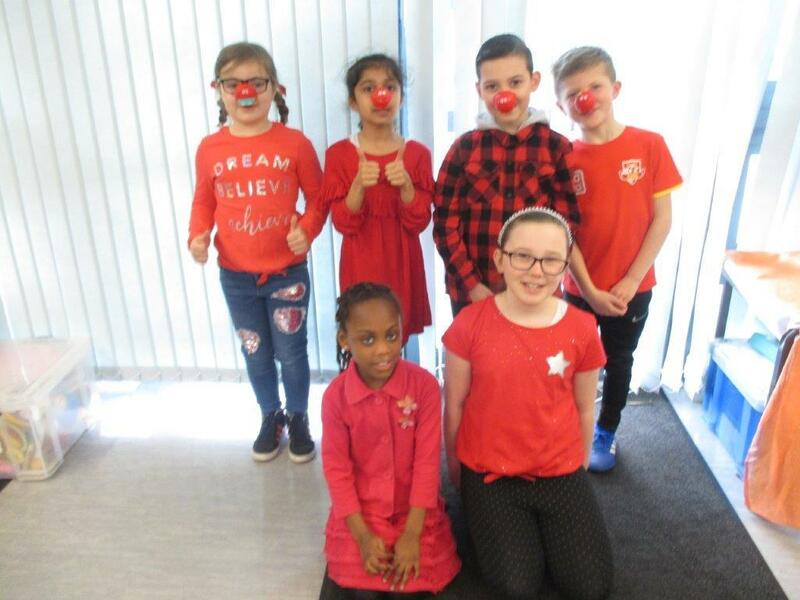 Today we were supporting Comic Relief by wearing red and donating £1 each. 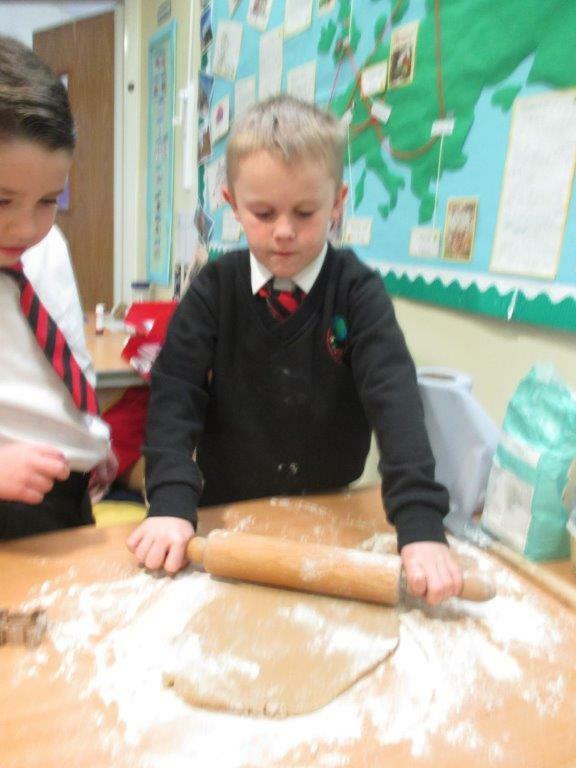 We have also been buying sausage rolls for 50p and throwing wet sponges at some teachers. 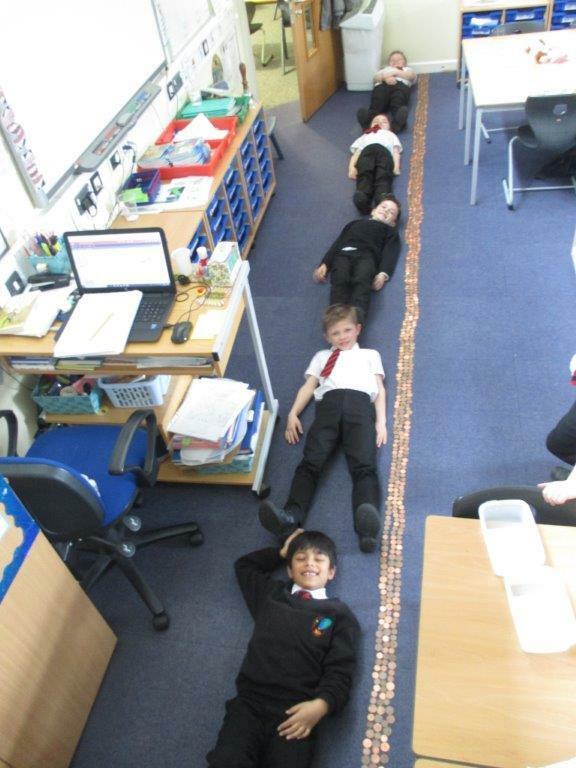 We have been incredibly generous and brought in all our pennies to make the longest class line as well. 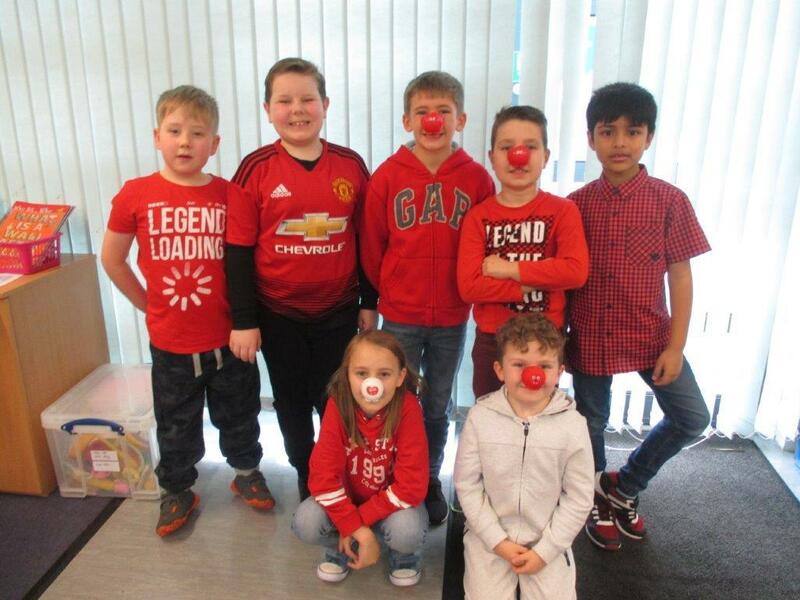 Have a look at the funny red noses we've been buying as well. 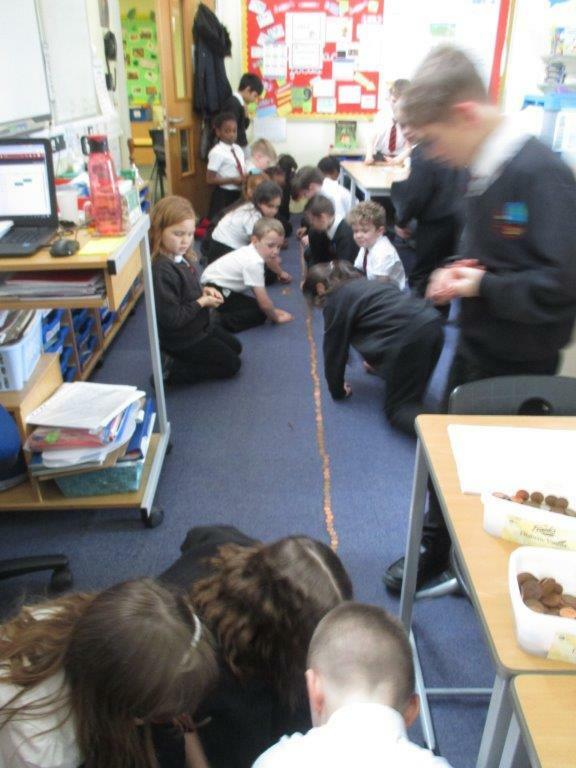 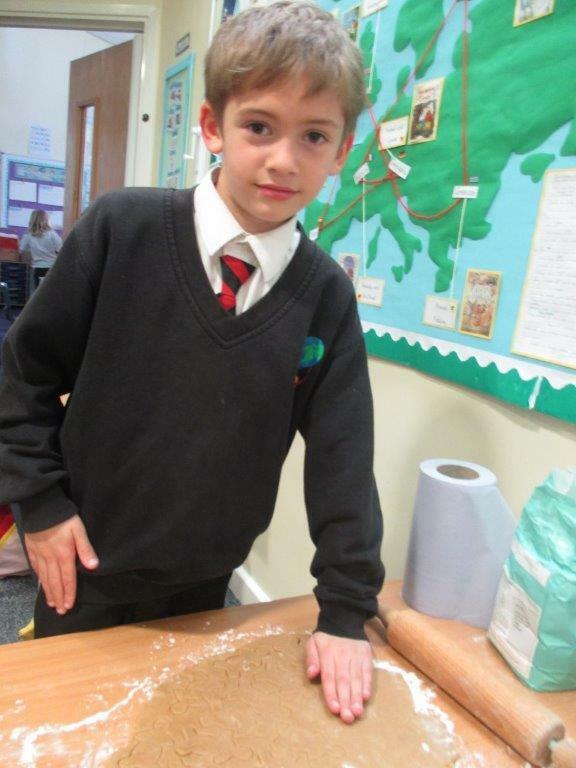 As part of our Comic Relief fundraising, each class was challenged to make the longest penny line. 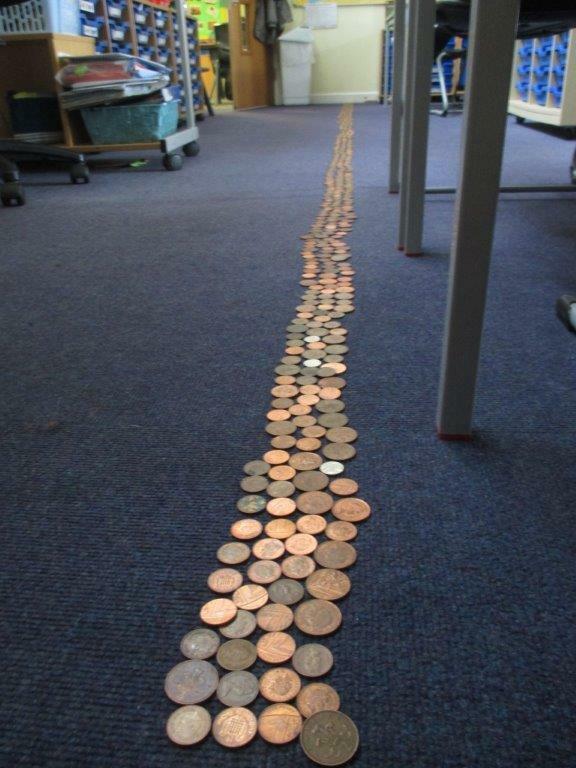 We were incredibly generous and brought in 23.07 metres worth of pennies. 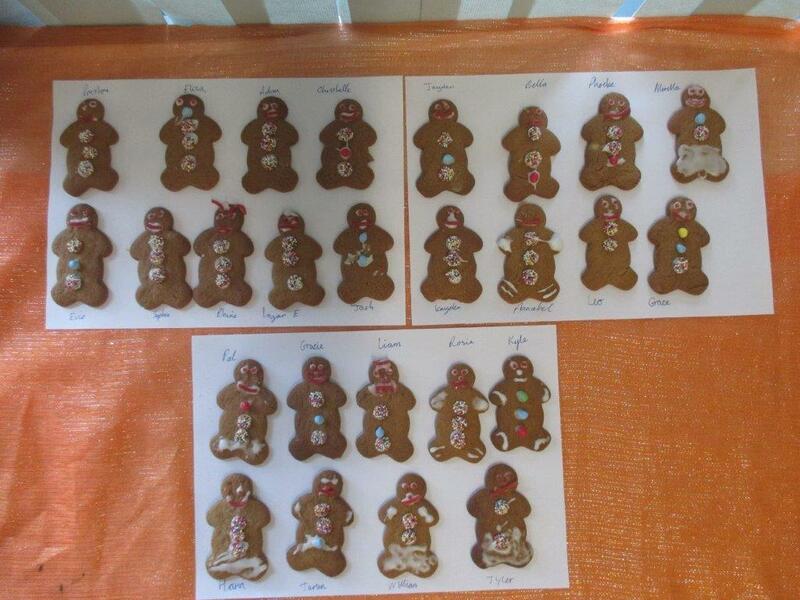 It was great fun laying them all out! 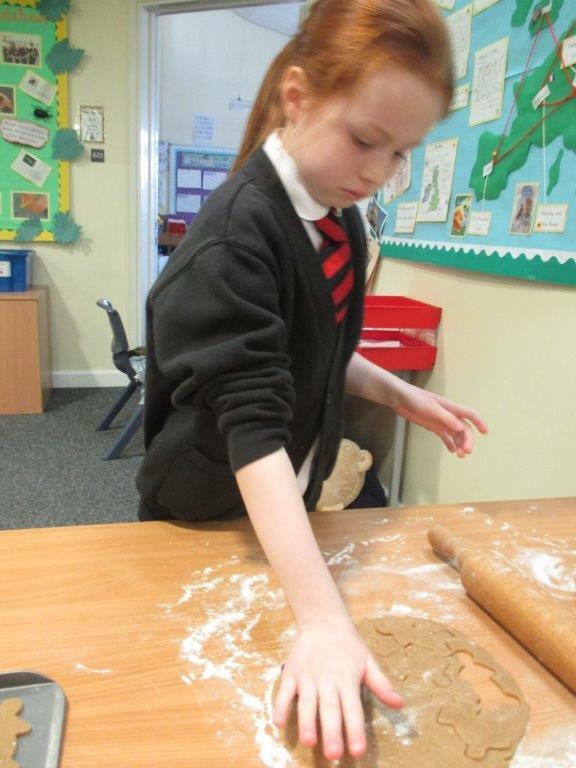 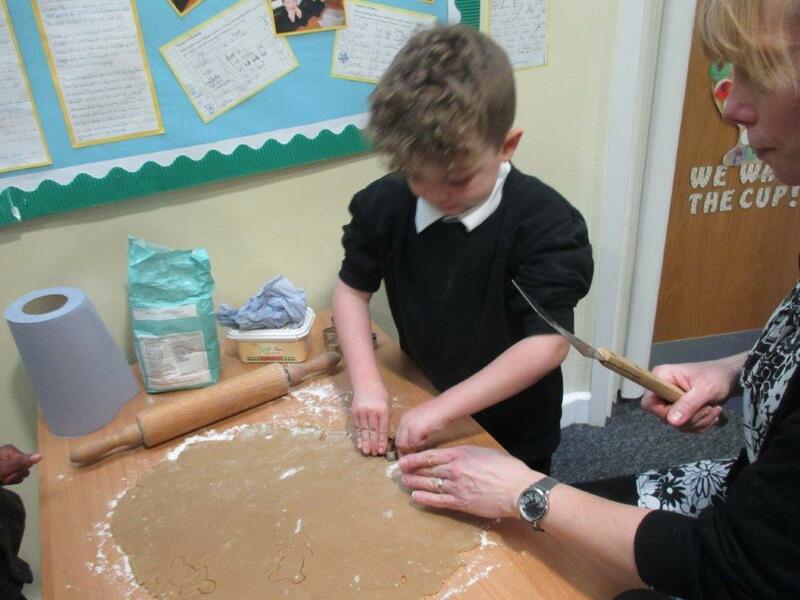 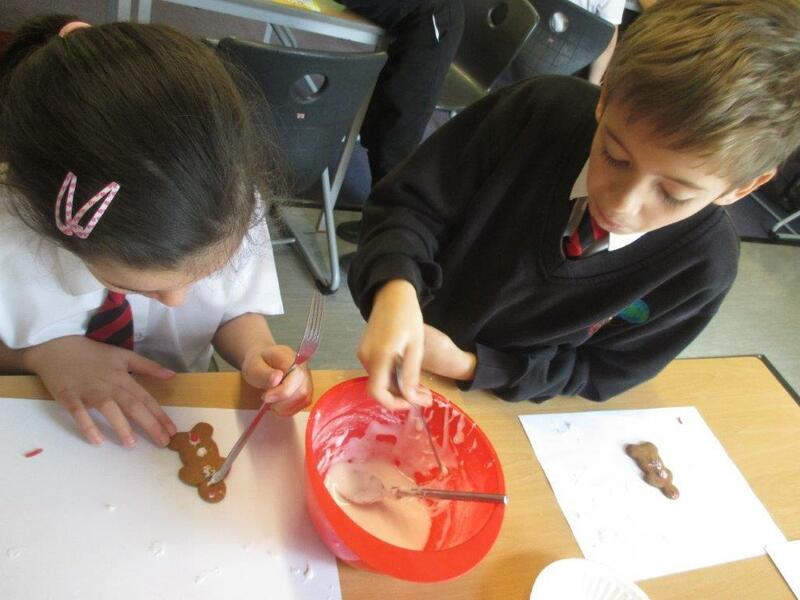 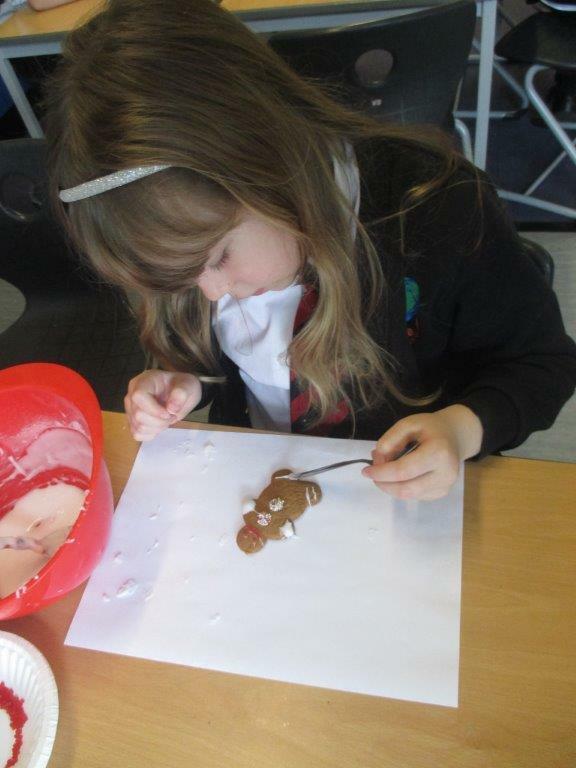 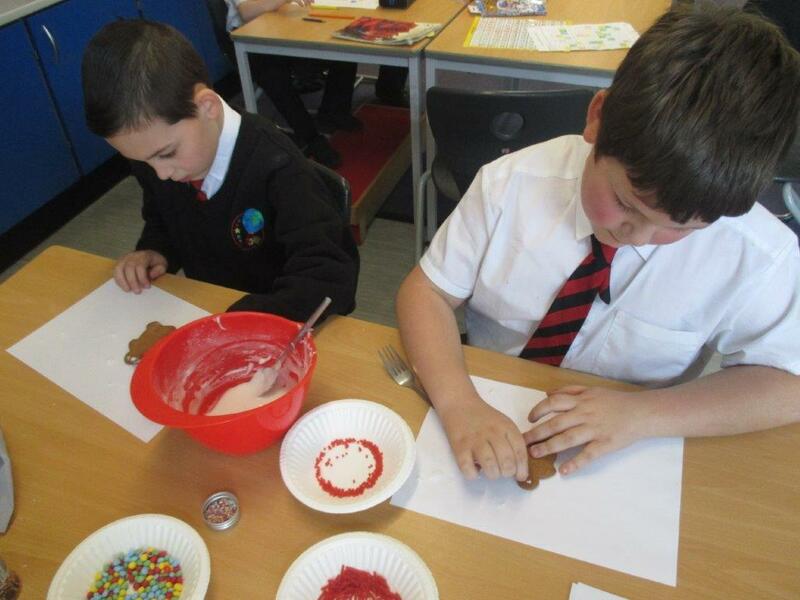 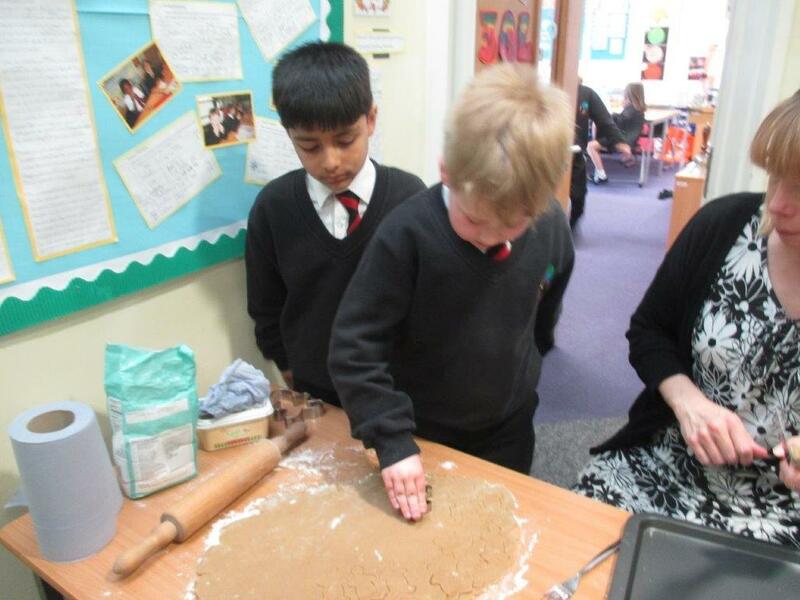 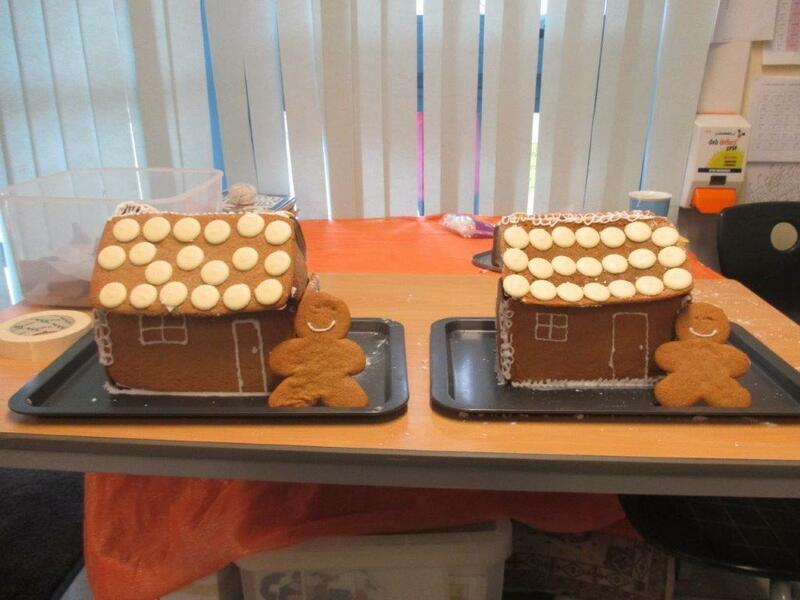 This term we've been learning about Hansel and Gretel so we had a go at making our own Gingerbread people and with the left-over gingerbread, we made a Gingerbread house, which was delicious.